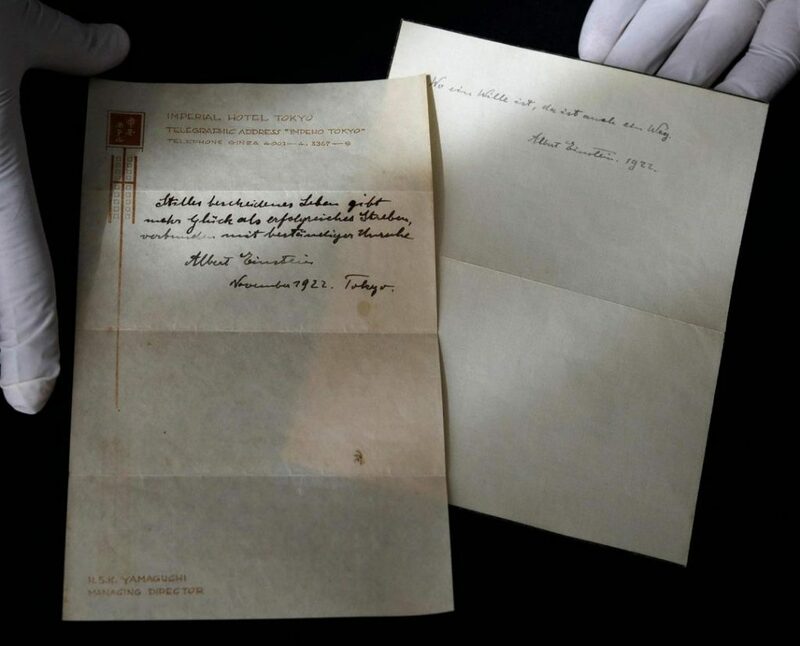 More letters at auction!…This time they were written by Albert Einstein during a visit he made to Tokyo in 1922. These handwritten wise words were auctioned in Jerusalem today. “A quiet modest life…” fetched $1.56 MILLION. And “Where there is a will…”sold for $240,000! Talk about the value of a handwritten letter!